Ingredients: Sea bream (from Mediterranean fish farms), 30% olive oil (composed of refined olive oils and virgin olive oils), salt. Description: Sea bream is a highly-select fish whose name derives from the typical gold strip between its eyes. Its meat is white, lean and very tasty. 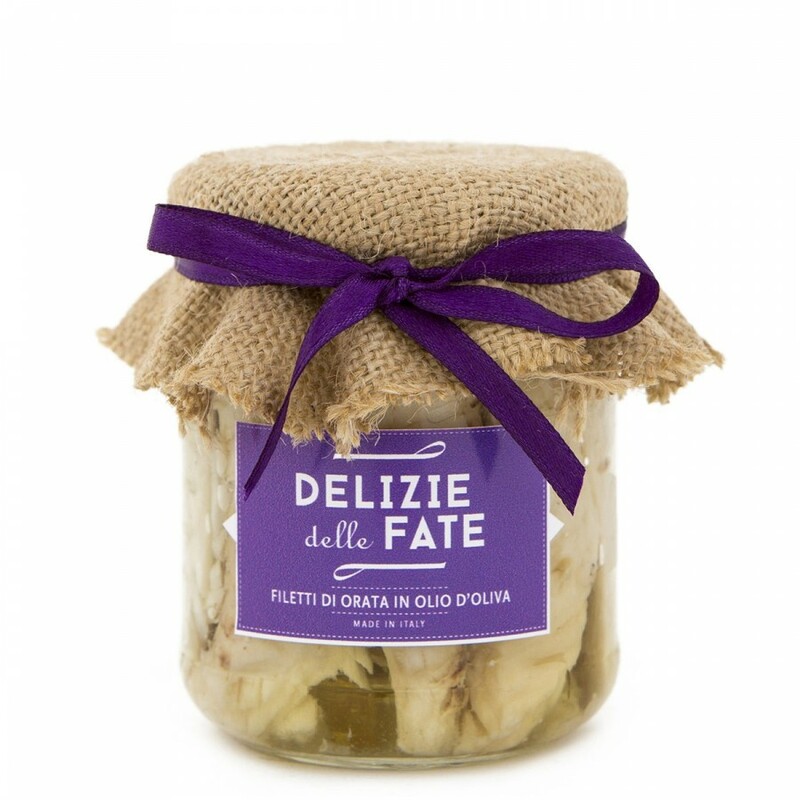 It is exquisite combined with natural or marinated vegetable appetizers and with olives in brine. Try it with crispy traditional baked Ligurian products such as “ciappe”, “brichetti” and “grissotti”!